In the early 1590s, Agostino Carracci, his brother Annibale, and their cousin Ludovico decorated a number of rooms in Bologna's Palazzo Magnani; many of their works are still in place. 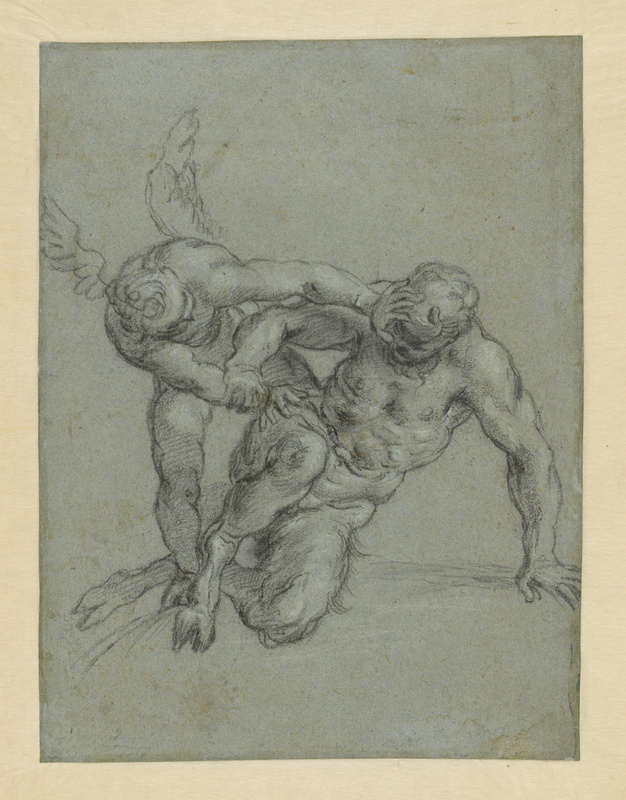 Agostino Carracci made this drawing as a study for the fresco over a fireplace. The story of Cupid's conquest of the Greek god Pan demonstrated the triumph of love over lust and illustrated Virgil's dictum, "Omnia vincit Amor" (Love conquers all). 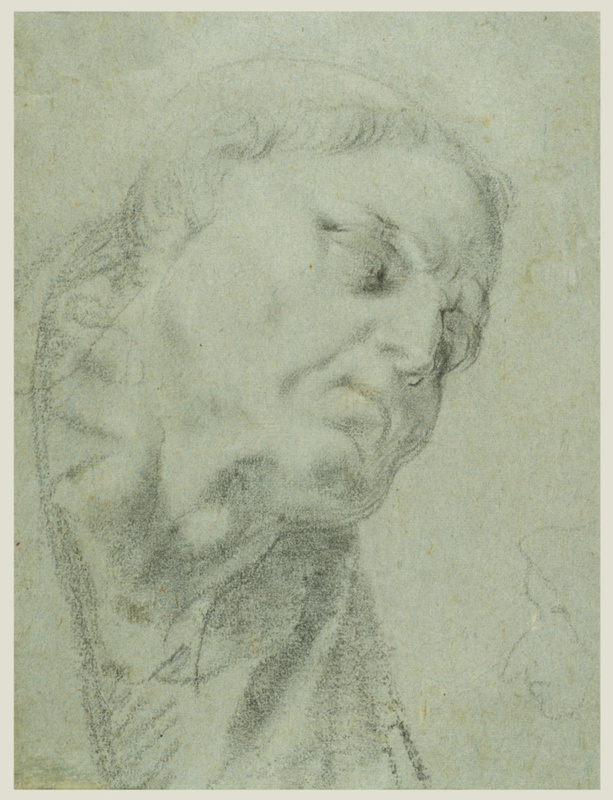 Carracci made the study on the verso for the head of the priest in his painting of the Last Communion of Saint Jeromeof about 1589. The soft modeling, the extreme foreshortening of Cupid's head, and the use of chalk on blue prepared paper show his interest in Venetian art.